Don’t it look strange? Squad number to be announced later today apparently. sure looks like he is sporting nr 31? @Noiz: United sport weird and wonderful numbers on their training kit for some reason. The no.31 doesn’t really mean anything as far as we know. Even from a Manchester United fan, still looks like a photoshop (i know its not, feels like my minds playing tricks). Need to see him in action to believe it. Valencia is 7 you knucklehead! Unless he wants a fight with Tony V, he’s not getting the No.7. I know that, Kagawa could have the nr 7 right? But he refused. If at that moment nr 7 was not yet given away and afterwards was given to Valencia then you are right, my bad. 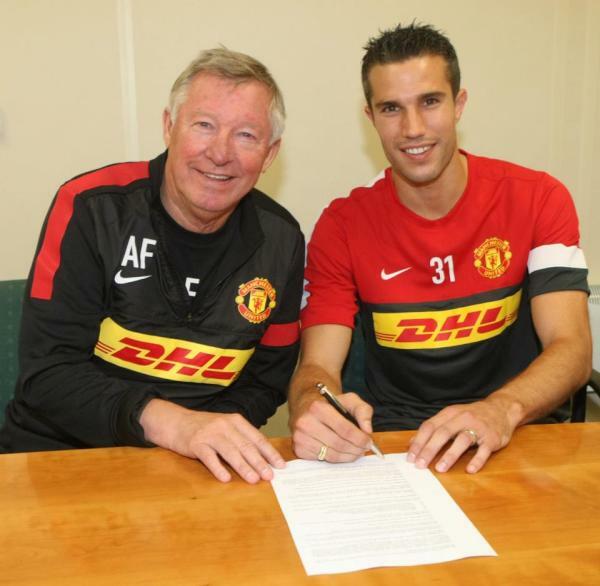 Well done Robin, you traitor…. He’s getting the no.20 shirt, as it’s always been his dream to wear the famous no. 20 at Old Trafford blah blah blah. 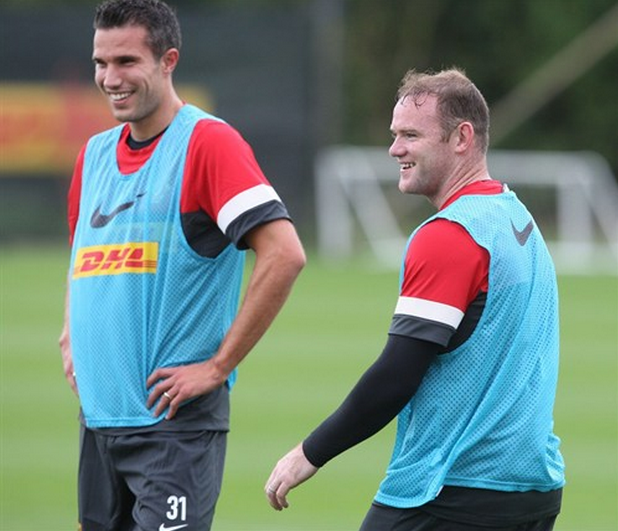 Van Persie and Rooney strike partnership this season… Has potential! I hear he has the #1 ticket in the physio waiting room.